Having the right leader managing sales is paramount, and investing in leadership helps your company’s star performers stay on top of their game. Our management training program is built on 15 years of experience, and our terrific team of sales trainers and sales leaders with hundreds of years of combined experience. These professionals have full mastery of the immense Overdrive library of intellectual property which includes 1) sales and marketing tools tailored for every activity and every major industry group, 2) implementation technologies and methodologies, and 3) a wealth of key acceleration tools that are unique, protected properties of Sales Overdrive that help ensure that our clients always win. These seasoned sales training executives are available to tap into our company’s intellectual property and help clients solve problems and increase revenue Immediately and very cost effectively. 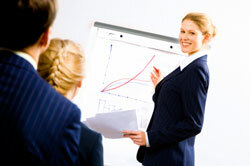 Overdrive Sales Trainers are available on an as-needed and monthly retained basis at very efficient pricing. Interim Sales Leaders can be assigned to solve your most immediate problems and be made available on a full or part-time basis. Is attracting and retaining Very Talented Sales Professionals difficult? Is duplicating Major Sales Wins problematical? Can you use more Speed and Real Horsepower to compete effectively? Do you need Specialized Know-How for new markets or to break through a roadblock in Sales? If the answer to any of these questions is yes, then seriously consider bringing on an Expert Overdrive Sales Coach, Trainer or Interim Sales Leader with experience in your industry and the passion to get it done. Whether you need someone for the short term or a permanent sales executive, Sales Overdrive can help. We focus on achieving Immediate Results, while building a strong strategic foundation. Our world-class Overdrive sales company professionals offer you expert third-party perspectives and are continuously supported by our national practice group with decades of experience in your industry.